Peter Lik Prints On Acrylic. We can create the same presentation for you at a fraction of the price. In addition to producing stunning photography, it’s well known that Peter differentiates himself from other photographers by presenting his work in a unique and modern way using the acrylic face mounting process. There are just a handful of companies in the US providing this service with exceptional quality and we’re proud to say that we’re one of them up here in Seattle! This is a process that we specialize in and have been working with photographers all over the world who are looking for new ways to display their work and stand out in galleries. So what’s the big deal with acrylic face mounting you ask? If I could boil it down to really two key differentiators I’d say the first is that acrylic has unique properties that allow light to refract within the acrylic, illuminating the image in the right light. This isn’t something that glass provides as light simply passes through. The other key differentiator is that the image is the star in this presentation with zero distraction from a frame around the image or any kind of hardware such as stand off bolts in the corner. We print your photo to high grade photo paper (satin or metallic), then the print is face mounted to the acrylic so that you are looking through the acrylic at your image. To complete the modern look we add kiln dried doug fir floater blocks to the back (or an aluminum subframe) so that it appears as if this vibrant piece is floating in air on your wall. The beauty of this kind photo presentation can’t be fully appreciated with pictures and video on a webpage unfortunately. As much as we try to give a full perspective of how it’s going to look it really needs to be seen in person. Peter does a terrific job displaying acrylic prints in his galleries at locations across the US (most of them in Vegas). 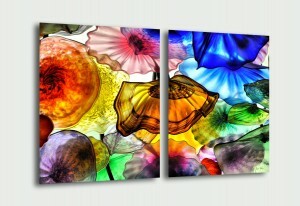 His use of dark walls and high end art lighting make the acrylic photo mounts come alive on the wall. Would you like the Peter Lik treatment on your prints? We’d love to produce one for you! 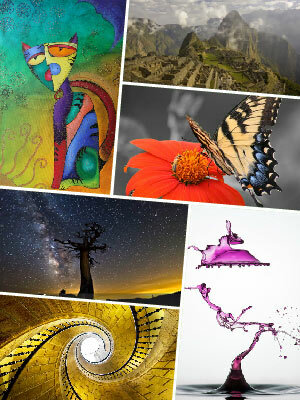 You can see all the details of our acrylic print product here. We offer 50% off on a first order for pro photographers along with many other benefits. If you’re not a pro photographer and just want a piece of gallery quality art using your own photo you can get 20% off on your first order by signing up in the form in the lower left there. We also provide bulk order discounting! We look forward to hearing from you so contact us today if you have any questions about our process or pricing. Interested to Learn More About Peter Lik? For renowned Australian landscape photographer Peter Lik, the future was handed to him on his eighth birthday when he got a Kodak Brownie box camera as a gift. The first photo he took with that camera was that of a spider web in his family’s home garden. That photo was followed by many others for Peter who brought his camera with him wherever he went. Born in Melbourne, Australia to Czech immigrant parents, this hard working artist was self-taught. The 8-year old boy with the Kodak Brownie box camera is now an internationally acclaimed panoramic landscape photographer. He is one of the 21st century’s most influential and most collected artists. Celebrities and political personalities look for his work. 1984 marked an important milestone in the life of Peter. This was the year when he decided to embark on a life-defining journey and travel to the United States. When he was introduced to the medium format panoramic camera, Peter decided to take his photography to greater heights. But first, he had to go back to Australia. Back in his land of birth, Peter captured the Great South Land in breathtaking photographic scenes. Cairns became the home of his first gallery. It was also here where Peter established his publishing company. In 1989, Peter went back to the United States and embarked on an adventure that would put his name on the map – in big, bold letters. He photographed all 50 states in America and printed the photos in a book that was published five years later. Peter’s book, Spirit of America, chronicles his exciting American adventure. When Peter decided to move to Las Vegas, it was also the start of LIK USA. After opening four galleries in the Sin City, he opened nine more in different parts of the US. Peter also has one gallery in Queensland. Peter’s photography style is his own. 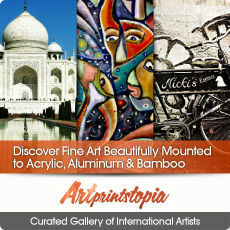 This is the main reason why his galleries attract thousands upon thousands of visitors everyday. His work has been described – in many occasions – as artistically composed, exquisite, amazing and incredible. He is undisputedly the master when it comes to nature and landscape photography. His pictures draw the audience in, as if trying to whisper something. The images and scenes are stunning. Peter’ photographs are visually appealing; the colors come to life. Two of his most popular works are “One” (which was sold for a million dollars – his first) and “Ghost”, which was taken in Arizona’s Antelope Canyon and won the 2010 Windland Smith Rice International Awards for Nature’s Best Photography (Art in Nature category). The winning photograph was exhibited at the Smithsonian Institution National Museum of Natural History. 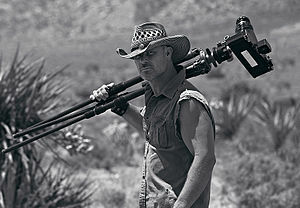 Peter Lik is the recipient of numerous awards from various photography organizations and groups. Two of his most cherished awards are the ones given by the Australian Institute of Professional Photography and the Professional Photographers of America. These awards cemented his reputation as a Master Photographer. Aside from awards, Peter also has fellowships from two prestigious groups: The Royal Photographic Society or RPS and the British Institute of Professional Photographers.